Having a growth mindset is foundational to unlocking a student's full potential to learn. It teaches that mistakes are not only okay, but that they lead to progress if we learn from them. Unfortunately, growth mindset can be a difficult idea for students to grasp. It is also a difficult skill to teach due to its abstract nature. If you are just introducing the topic of growth mindset to students a good read aloud recommendation is The Girl Who Never Made Mistakes*. This book is a great way to begin helping students understand that mistakes are not only okay, but that they actually can be used to help move learning forward. To reinforce this idea we have created a hands-on STEM lesson to accompany the book. Find the activity HERE. Another great read aloud to introduce students to the concept of growth mindset is Your Fantastic Elastic Brain*. This book does a great job of helping students understand how the brain works and how it is able to grow as you learn and practice. Teach students about the parts of the brain and how each part functions with our Fantastic Elastic Brain Flip Book! After reading about what growth mindset is students need practice with real world problems. One of the best ways to do this is with STEAM! 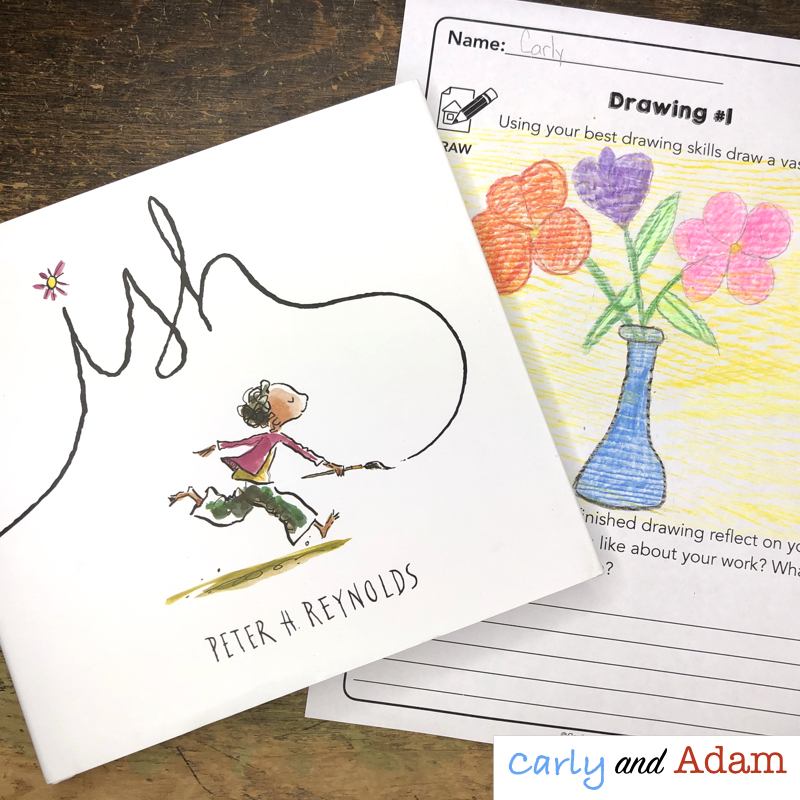 Our favorite read alouds to help students practice having a growth mindset while connecting to STEAM are the Creatrilogy books by Peter H. Reynolds (The Dot, Ish, and Sky Color)*. In each of these books the main character has a problem that centers around art. For example in The Dot and Ish the main character believes that he/she is not good at drawing while in Sky Color the main character struggles with knowing what color to paint the sky. With our Growth Mindset STEAM Activities students not only learn about growth mindset, but they also get to apply the principles of growth mindset to a real world problem. Students are given a task to draw a certain object such as a ladybug, sun, or pot of flowers. First students attempt to draw the object on their own without any support. Next, students practice drawing the object using a directed drawing template. Then, students practice a third time using video instructions. After each attempt students reflect on what they like about their drawing and what they want to improve. On the fourth attempt students combine what they have learned to create a final drawing. Seeing the progression of their work helps students understand in a visual way that growth and improvement come with reflection and practice.